Kevin Durant may not be the toughest person in the ​NBA, but he certainly made a difficult decision Thursday. Durant will play in the Golden State Warriors' Thursday night matchup against the Indiana Pacers despite the death of his close friend. Steve Kerr said shootaround was "somber" this morning with news of death of Kevin Durant's long-time friend. KD will play tonight. Kerr: "Difficult time for Kevin and Kevin's family...For most of us who play this game, it's a refuge...I know he'll be playing with a heavy heart." His friend, Cliff Dixon, was shot and killed this morning in Atlanta while celebrating his 32nd birthday. KD often described ​Dixon as his "adopted brother." This was no doubt a choice of passion and friendship for Durant who was described by head coach Steve Kerr as "somber" during the team's morning shootaround. Perhaps we'll see a different side of Durant tonight. After all, he didn't need to play in this game. 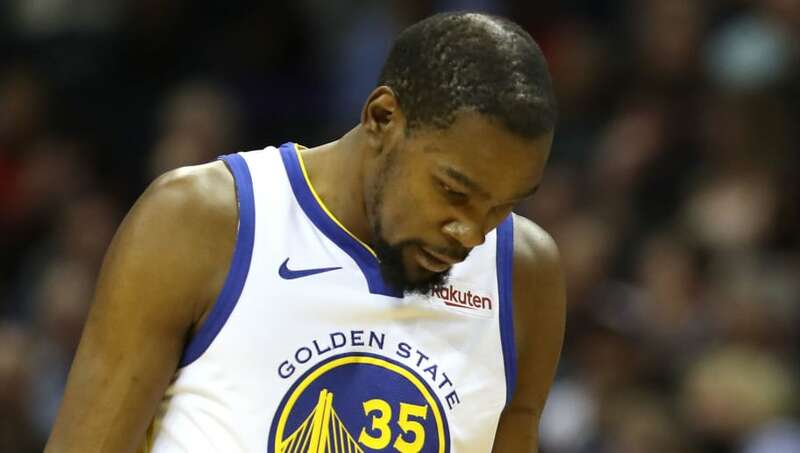 The Pacers have dropped three straight games, and while they're a playoff contender, they're not exactly a major threat to topple the Warriors at Oracle Arena..
​​You may not like Kevin Durant as a player, but he's still a human being who has emotions just like the fans. For him to lose an extremely close friend and then play through the emotional pain is a testament to his spirit.